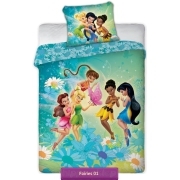 Bedding for kindergarten with character Tinker Bell and Fairies from Disney animated movies About Fairies adventure. 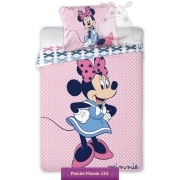 Kids bedding set suitable for most nursery loungers for the little girls with Duvet cover 80x200 cm, and pillowcase 40x40 cm. 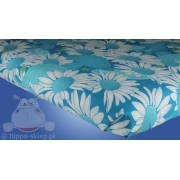 Bedding for kindergarten closing by zip sliders, made of 100% cotton smooth, available in two variants: as a 2-piece bedding (duvet cover and pillowcase) and 4-piece bedding (duvet cover and pillowcase and Sensidream light duvet size 80/200 cm and a pillow size 40/40 cm. 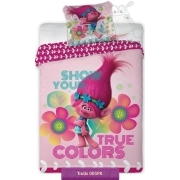 Light Sensidream duvet made in accordance with and certified by Oeko-Tex 100, provide your child optimum thermal conditions during sleeping. 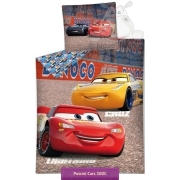 In addition, when buying bedding set with duvet and pillow you will receive as a gift practical packaging for storing sheets.